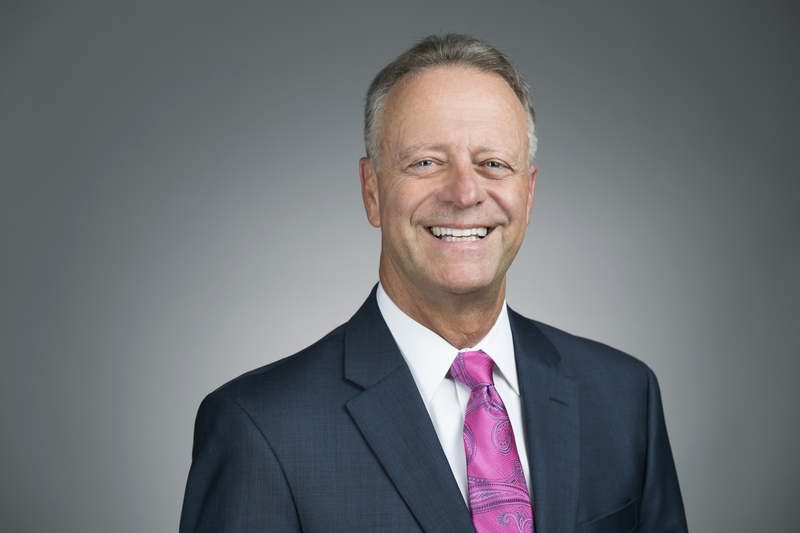 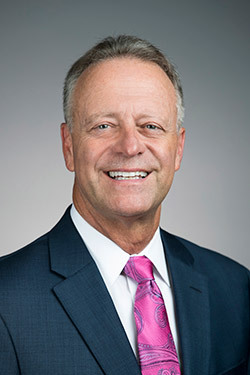 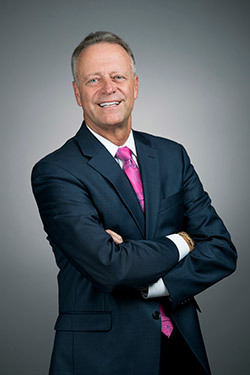 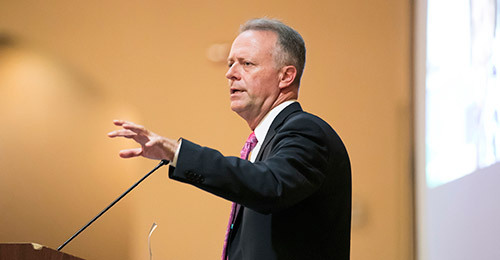 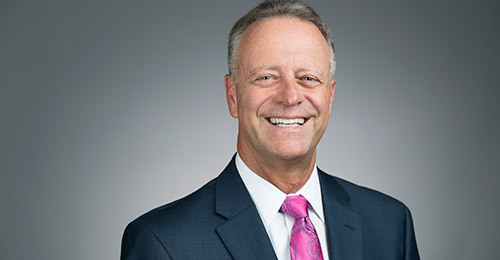 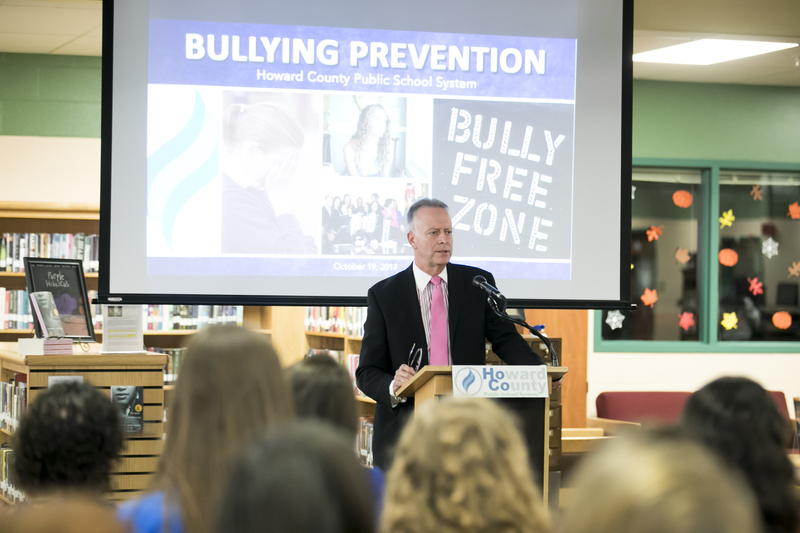 Dr. Michael J. Martirano was named superintendent for the Howard County Public School System in July 2018 after serving as interim superintendent since May 2017. 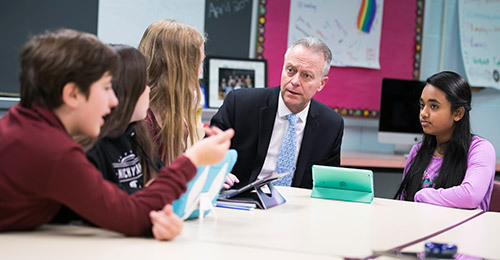 He considers himself a teacher first and foremost, and believes children must be at the center of all decision-making. 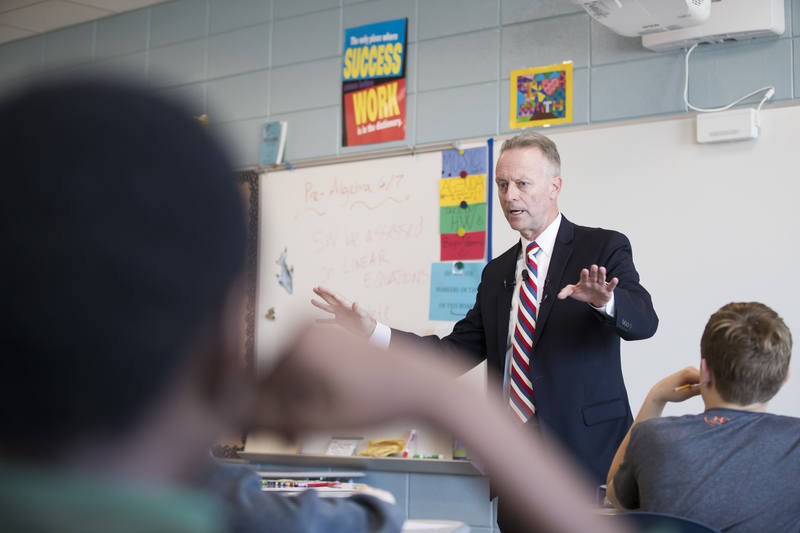 Guided by the principle “to teach a child well, you must know a child well,” he is committed to ensuring equity and giving every child an opportunity to succeed. 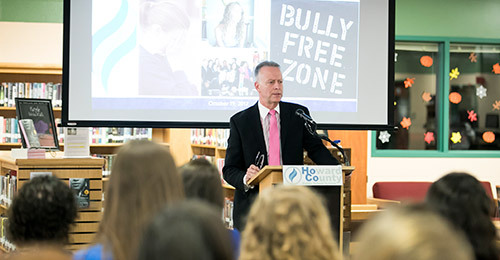 Dr. Martirano is leading Howard County public schools with his Strategic Call to Action, which guides all system actions and decisions toward ensuring the academic success and social-emotional well-being for each student in an inclusive and nurturing environment. 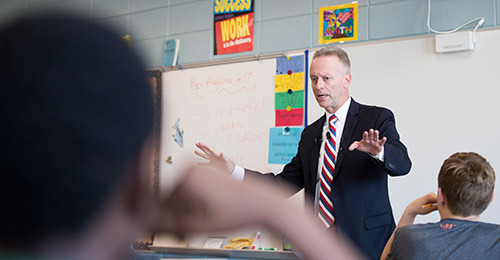 He has been an educator for more than 35 years, including as a science teacher, principal, superintendent of St. Mary’s County Public Schools, West Virginia state superintendent of schools and visiting professor at Johns Hopkins University. 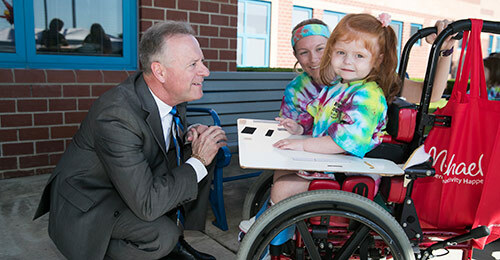 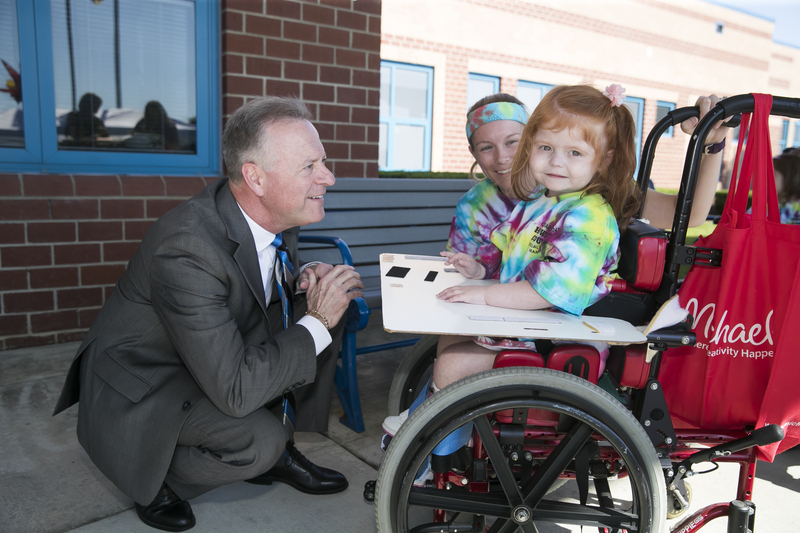 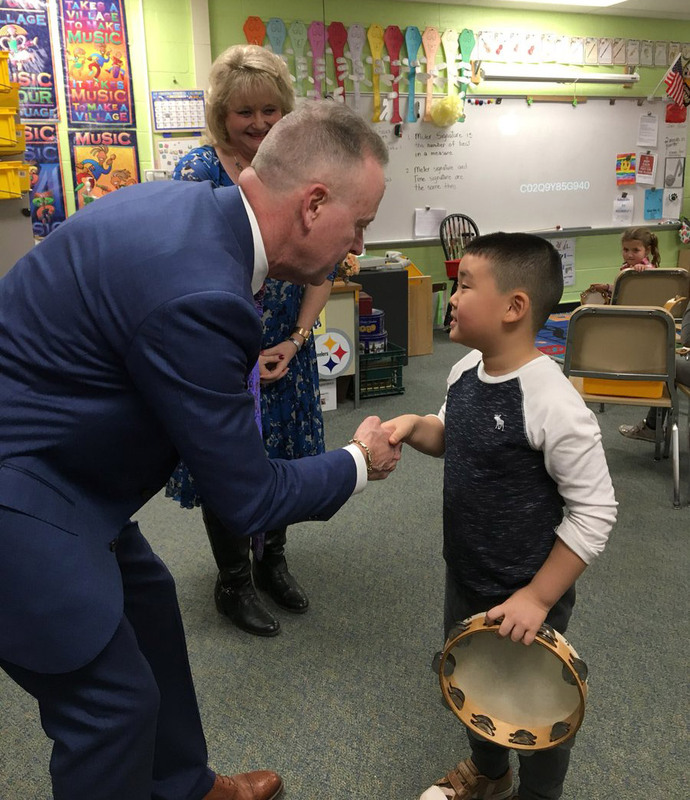 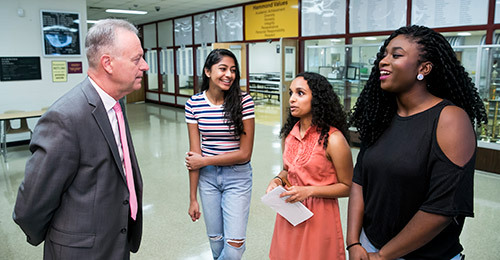 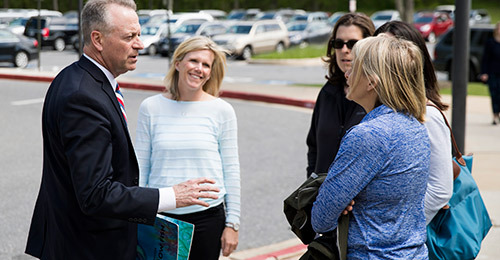 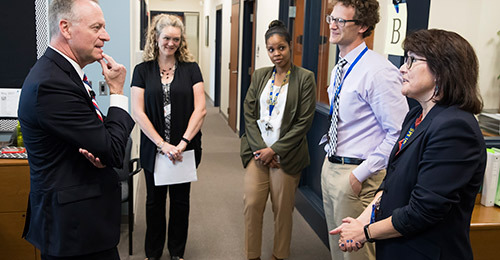 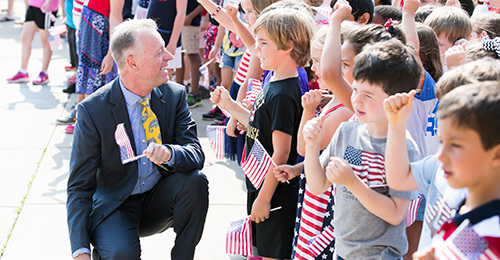 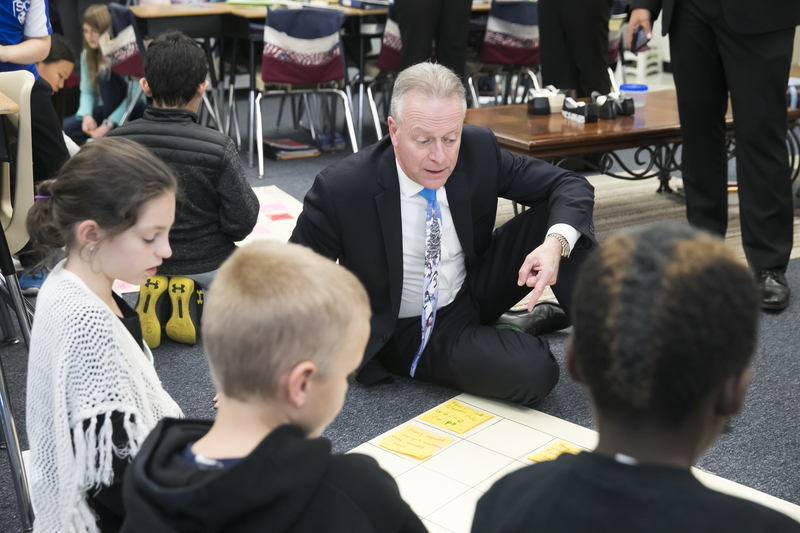 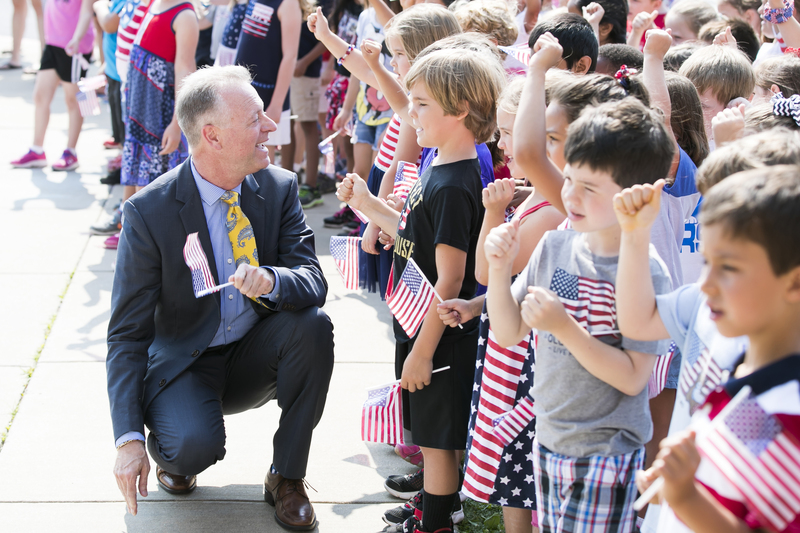 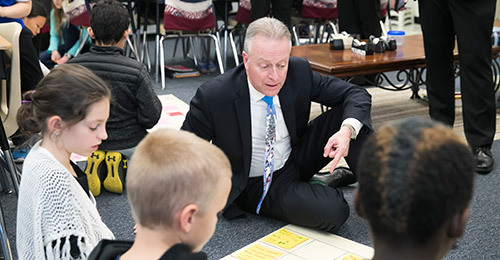 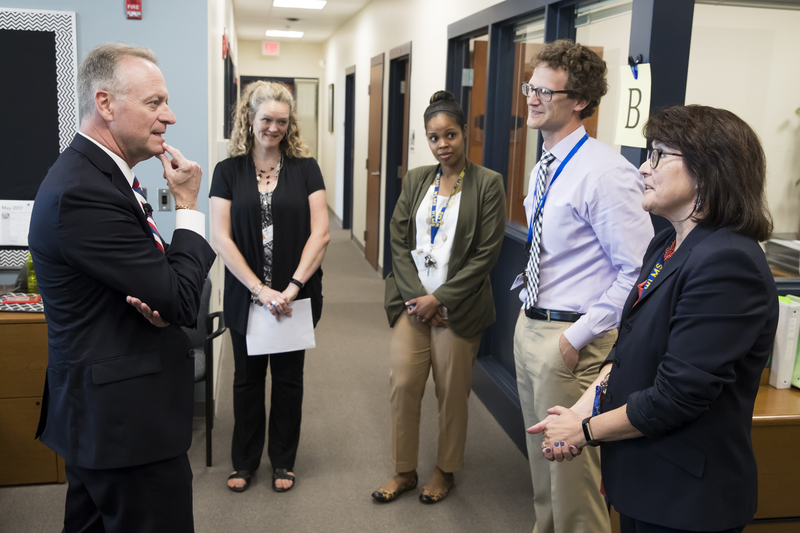 Dr. Michael Martirano visited schools and met with staff during his first week at HCPSS. Learn more about Dr. Michael Martirano’s leadership philosophy and goals. 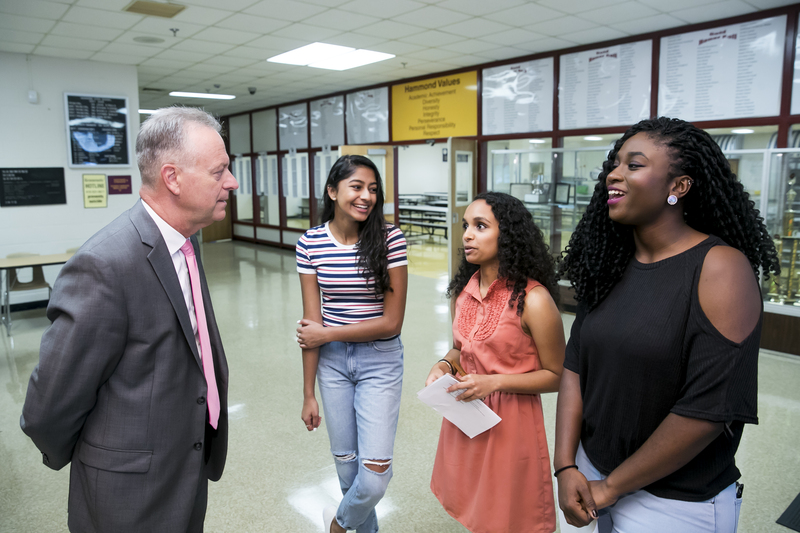 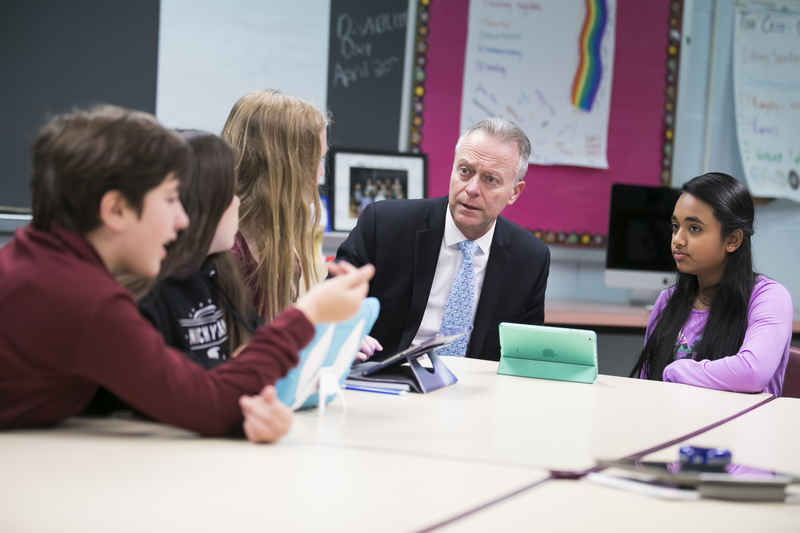 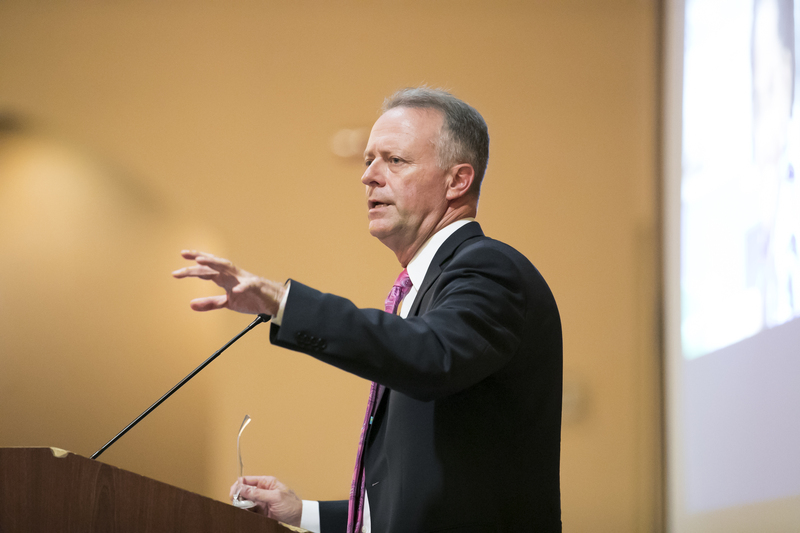 In this in-depth interview, we take a closer look at Superintendent Martirano – his background, priorities and vision for the school system.